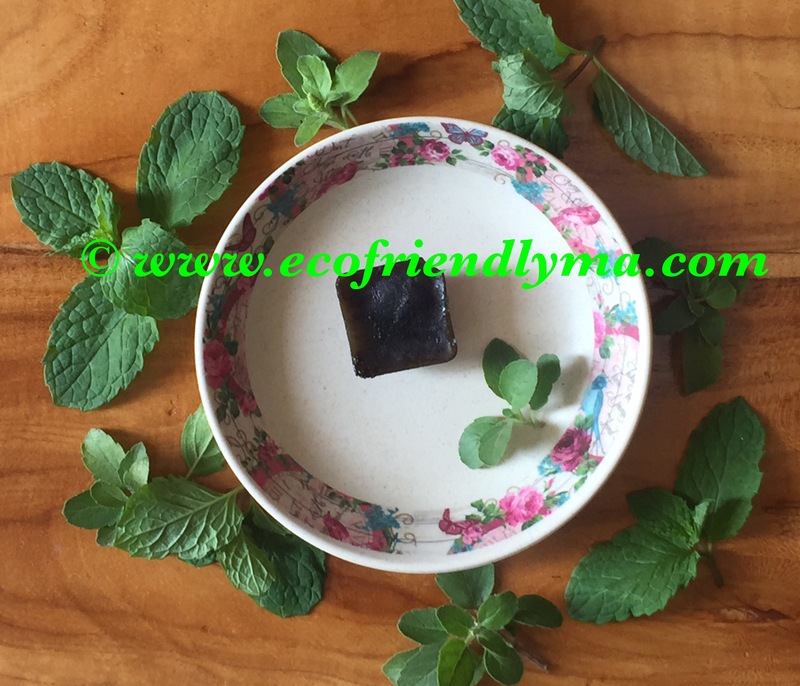 Hello friends, this green mask is very effective in controlling acnes & fading acne scars! All you have to do is walk into your garden and pick a hand full of mint leaves & holy basil leaves 🍃and you can make it in a minute. Holy Basil(Ocimum Sanctum) undoubtedly is one of the best medicinal herb. It has endless miraculous and medicinal values and has been worshiped and highly valued in India for thousands of years. It is antibiotic, disinfectant, antibacterial and antifungal in nature. 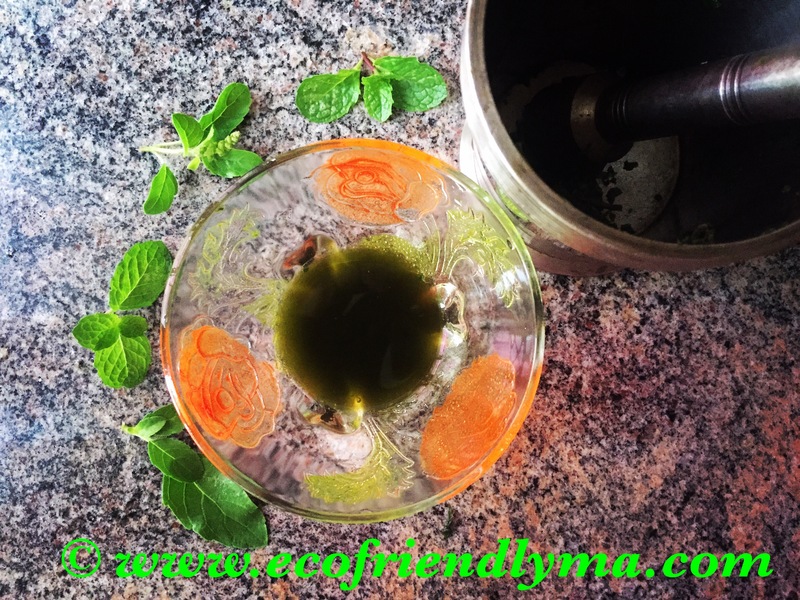 Mint(Mentha sachalinensis) juice is an excellent skin cleanser. It soothes skin, and helps to cure infections and itchiness. In addition to being a good way to reduce pimples, it can even relieve some of the symptoms of acne and is effective in fading scars too. How to make & use? 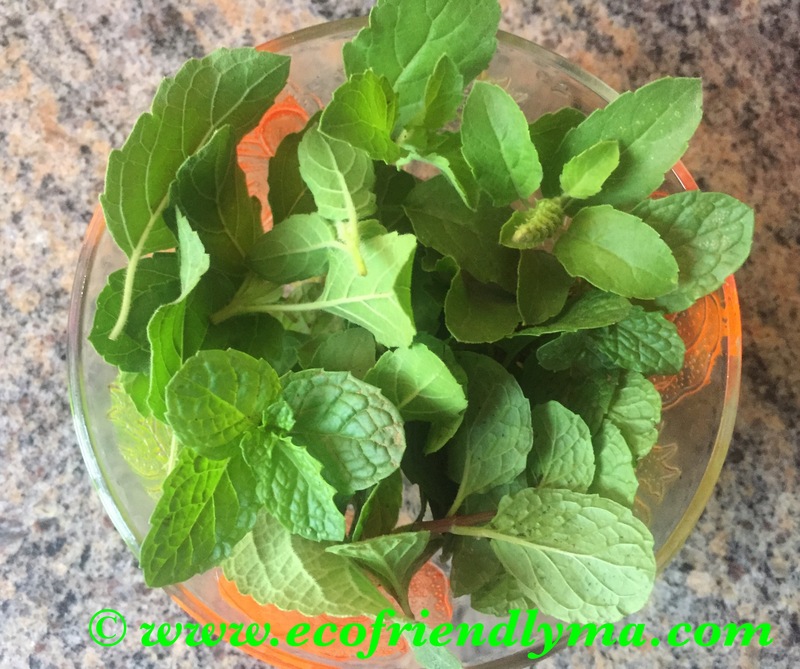 Wash a hand full of mint & basil leaves. Using a mortar, grind them for a minute. 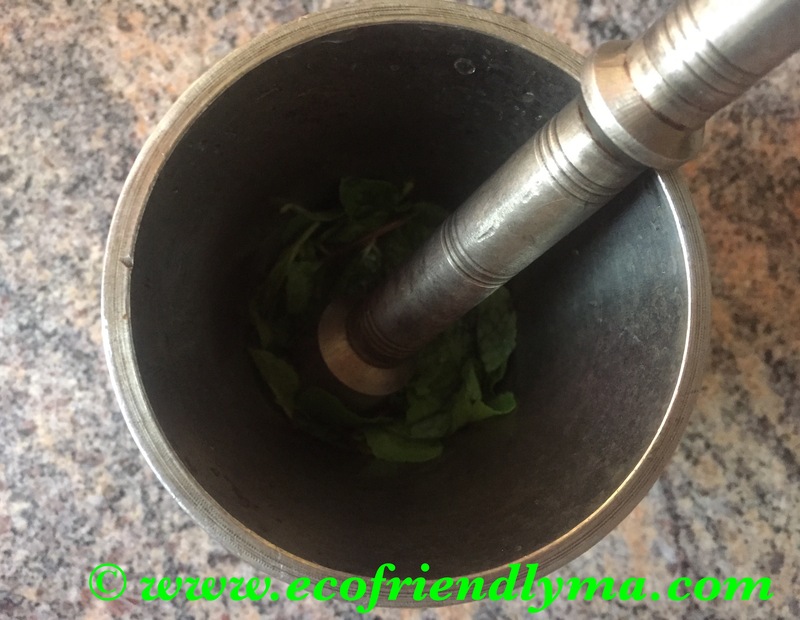 Take the ground leaves into your hand and squeeze the juice into a bowl. Gently dip your fingers / cotton swab in the juice and pat on your face or alternately you can pour the juice into an ice cube tray, freeze it & massage your face with the ice cube. Apply multiple layers, ur face will turn green, don’t worry 🙂, let it dry and stay for half an hour. Later wash it off and wohoo were did my acnes & scars go!? ?… Nope they’ll not vanish instantly 😉, but will fade gradually on regular use! P.S: Make sure it doesn’t fall on your clothes as it stains n s real tough to remove!